Looking for a great way to dress up your C6 Corvette? 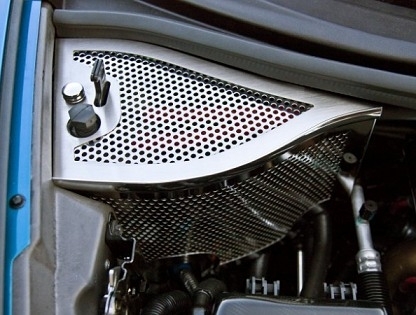 Our Perforated Stainless Steel, Dry Sump Oil Tank Cover is a great way to do just that. These trim pieces are designed to fit all 2006-2013 Z06 and Grand Sport Corvettes over the stock dry sump oil tank and add a clean stylish look to your Corvette engine bay. Fit all 2006-2013 Z06/Grand Sport with Dry Sump.